Dustin Pedroia missed the 2009 All-Star Game to be with his wife, who was about to give birth to their first child. 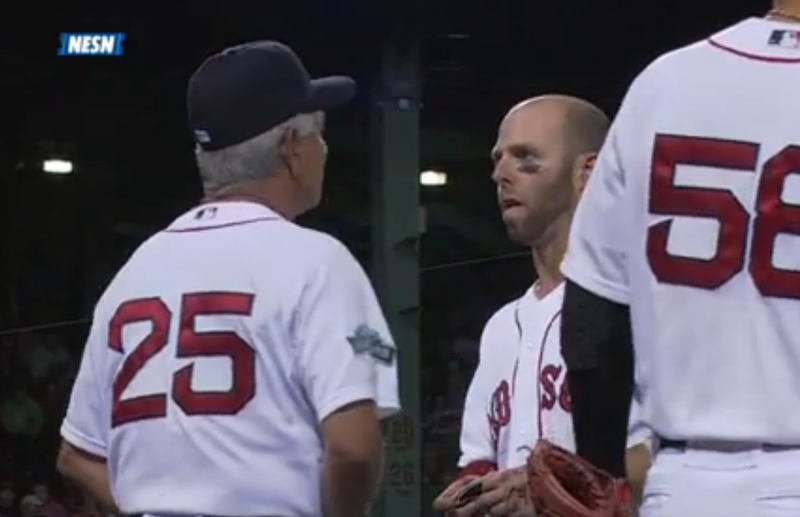 Tonight, Bobby Valentine had to abruptly pull Pedroia from the game, telling him mid-inning that Kelli had gone into labor and that he had to vamoose immediately. Alas, shortly thereafter, Valentine set the club record for ejections in a season and the Red Sox lost, 5-4, so the timing really couldn't have been better.